In his book on Trauma-Sensitive Mindfulness, David Treleaven tells the story of Nari, a young woman born and raised in the United States. Nari was on her first meditation retreat, looking forward to her first private appointment with the teacher. Unfortunately, he started the session by asking “Where are you from?” Like many people of color, Nari was really sick of answering that question. Also like many people of color, she’d already felt self-conscious as the only non-white retreatant. She wanted the focus of the conversation with her teacher to be her experience with meditation, not her ethnicity. The teacher awkwardly changed the topic, but the damage was done. Nari felt so uncomfortable with him that she decided to leave the retreat several days early. Depending on your own background, you may identify more with Nari or more with her teacher. In my case, I’m White myself, but I’ve heard similar stories from Asian American and multiracial family members. One of my nieces was repeatedly asked “What are you?” by someone who was trying to figure out her ethnicity. “I’m a human,” she said. So I can understand why Nari was so bothered by the teacher’s insensitivity. It’s not that we should never talk about someone’s ethnicity. I’ve had very interesting conversations with family, friends, students, and colleagues about our identities and experiences of the world. But that’s in an appropriate context, not out of the blue. Can you imagine this meditation teacher starting a conversation with a White student about her country of origin? Perhaps if the student had a foreign accent, but not if, like Nari, she was speaking like anybody else at the retreat. To give a different example, let’s say an Asian American therapist is trying to build rapport with an African American client, so she decides to learn about the most popular rappers and hip-hop groups. While that’s not a bad idea, this particular youth may not be into rap or hip-hop. He could be a jazz aficionado, or an avid swing dancer, or a soloist in the church choir. Or let’s imagine an African American teacher with several Bhutanese students. He’s heard about the policy of Gross National Happiness, and that Bhutan is the only officially Buddhist country in the world. So he cheerfully heads into class to talk with his Buddhist students about their lovely country. In fact, his students are likely Hindus, from a minority group that was forced out of Bhutan in the 1990s. Another common mistake is to be overly ‘touchy feely.’ How do you usually greet people? With a handshake, a hug, or a kiss on the cheek? Any of these gestures could feel overly intimate to someone from another culture, especially if you’re not the same gender. There are also strong differences in what’s considered an appropriate amount of personal space. One time when I was in grad school, I was surprised to find myself with my back pressed up against the wall during a pleasant chat with a classmate. Since this happened after a class on cross-cultural communication, we both laughed when we realized what happened. As a North American, I felt like he was standing uncomfortably close, so I moved back to an appropriate distance. As a Central American, that made him feel like we were uncomfortably far apart, so he moved forward to close the gap. Without either of us consciously paying attention to this, we kept moving a couple of steps forward, a couple of steps back, until we ended up doing the cross-cultural two-step clear across the lecture hall. But this type of misunderstanding isn’t always a laughing matter, especially to someone who’s experienced trauma. 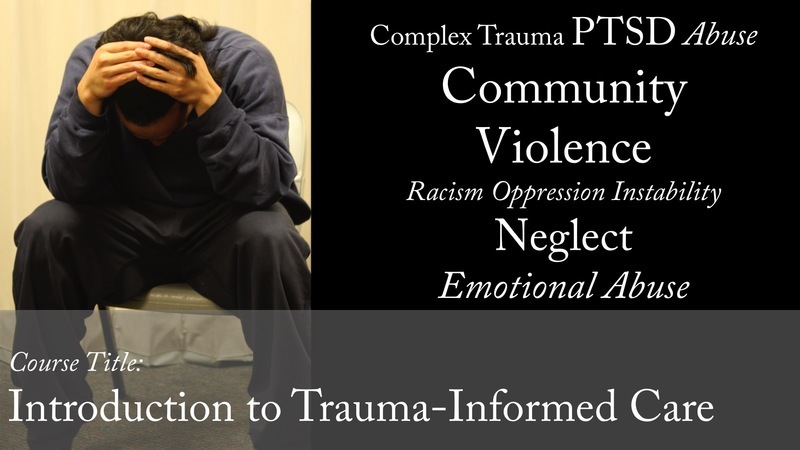 In a previous post, ‘Add a Culturally-Aware Lens to Your Trauma-Informed Toolkit,’ I explain how I had a fight/flight/freeze reaction to a well-intentioned gesture from a male friend. Tip #3: Be Careful with Humor. Humor is another area with a lot of potential for misunderstanding. I learned this in my first year of teaching when I livened up a grammar lesson with funny sentences about my students. The activity did go over well with most of them, but Miguel came up to me after class and asked why I’d insulted him. Insulted? That hadn’t been my intention at all, and it never occurred to me that saying “Miguel stole a car yesterday” would be interpreted as anything other than practice of the past tense. It turned out that Miguel was upset because he lived in a neighborhood with a lot of crime and prided himself on being honest and law-abiding. A few years later, a young woman from Thailand sat in my office sniffling back tears, wondering what she’d done to offend my co-teacher. Samorn had been trying so hard to be a good student, but the teacher had scolded her in public, right in front of the department chair. As you might have guessed (and as my co-teacher and I assured her), Samorn was a model student and the teacher’s intent was to gently and affectionately tease her. There was no danger of the department chair thinking she was a bad girl after the number of times we’d said how much we wished the other students were like Samorn! But it was a good lesson in how sarcasm and irony can be misinterpreted, especially from someone whose native language isn’t English. Even if you’re from the same ethnicity, religion, and country of origin, if you’re not a digital native, there’s a HUGE generation gap with today’s youth. I’m currently writing a book on mindfulness for teen girls, and it’s made me realize how little I really understood about what’s happening on social media. There’s a shocking level of cyberbullying and sexting, even among kids as young as 13 or 14. I can’t be effective in teaching young women about mindful communication if I don’t understand the types of communication they’re likely involved in. Of course, learning about youth culture doesn’t mean we should try to act like or talk like youth. My niece (the human, female, half-Scottish one) told me about a conversation with an adult who was proud of herself for recognizing a popular young singer. Since my niece had a good rapport with this adult, it was a light-hearted moment for both of them. But in other circumstances it can seem odd or even offensive to use slang that isn’t authentic for us. When I was on a jury in Washington, DC a few years ago, I heard two versions of almost the exact same dialogue. A middle-aged White lawyer was questioning a young Black man from an inner city neighborhood, and the youth mentioned something a young woman had told him about what she’d witnessed. Compare this with the second exchange. When this attorney spoke, we could practically hear the quotation marks around ‘baby mama.’ She sounded like she was tickled pink to be using such a cute expression, which seemed really inappropriate in the context of a murder trial. Let’s return to Nari’s decision to leave the retreat center. I don’t think it was just because the teacher asked an insensitive question. I think it’s because he was claiming to be an expert on mindfulness but reacted with such unskillfulness to his own feelings of awkwardness and embarrassment. Cultural sensitivity doesn’t mean following a rigid set of rules. It means doing our best to be respectful of each other’s perspectives and preferences. That type of respect is the starting point for building an authentic relationship with any of your students, no matter what their specific background might be. Catharine Hannay is the editor and publisher of MindfulTeachers.org and the author of Being You: A Girl’s Guide to Mindfulness (Prufrock Press, fall 2019).